The station's studio is located at Star City, CCP Complex, Pasay City. 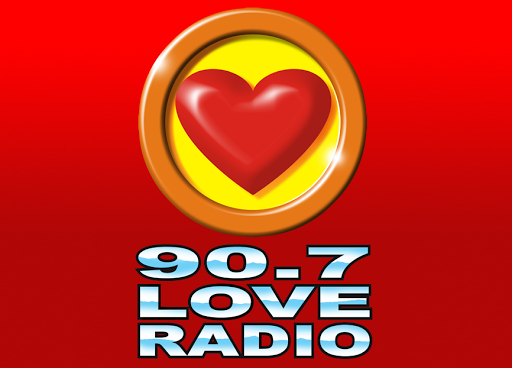 90.7 Love Radio (DZMB 90.7 MHz Metro Manila) is the flagship FM station of Manila Broadcasting Company in the Philippines. The station’s studio is located at the Star City, CCP Complex, Pasay City. Love Radio was previously known by its call letters DZMB when it began broadcasting on the FM band in 1973 from its first broadcast days on the AM band. Back then, it played mainstream pop, later gravitating to easy listening music. As DZMB, it also introduced and institutionalized the deep-voiced radio announcer Dante Luzon, which later became its station manager up to the time that the station reformatted to this present programming.